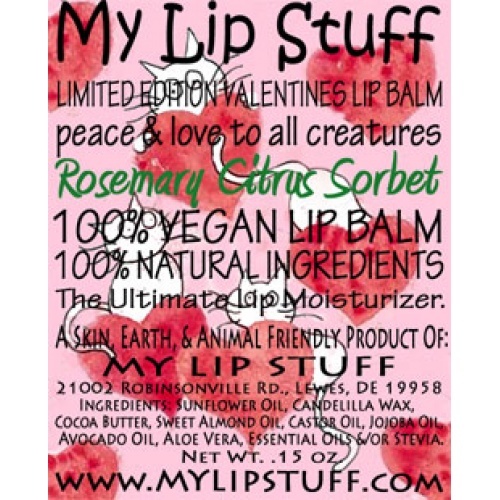 *Limited Edition VALENTINES lip balm! Rosemary Citrus Sorbet: essential oils blend of citrus flavors with a touch of rosemary. Sweetened with stevia.